The social services market consists of the revenues generated from services and related goods by entities (organizations, sole traders and partnerships) that provide benefits and facilities relating to food supplies, education, health care, disaster relief activities and housing services and are offered by private or government establishments to improve the living conditions and social well-being of under privileged children, disabled, elderly and the poor in a community. Major players in the global Social Services market include Bill & Melinda Gates Foundation, World Food Programme, UNICEF, University of California System, The Salvation Army, Feeding America, Bright Horizons Family Solutions, W.K. Kellogg Foundation Trust, University of Michigan, Food for Poor. The social services market size is expected to reach $4 trillion by 2022, significantly growing at a CAGR of around 7% during the forecast period. The growth in the social services market is due to increasing demand for child care and educational services in both developed and developing countries, rapid urbanization, growing children population, new government initiatives, rising per capita income in emerging economies, globalization of educational services and increasing demand for educated workforce in emerging countries. However, the market for social services is expected to face certain restraints from several factors such as interest rate increases, workforce issues. 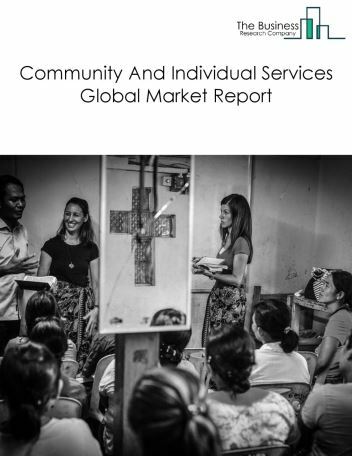 The global social services market is further segmented based on type and geography. 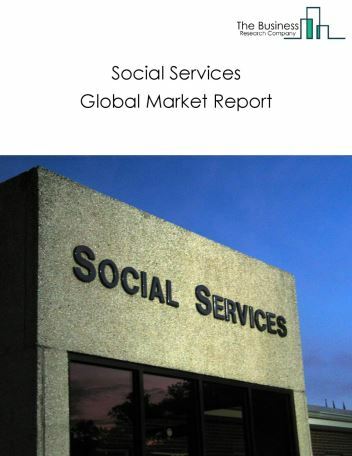 By Type - The social services market is segmented into social assistance and education services among these segments, the education services market accounts for the largest share in the global social services market. 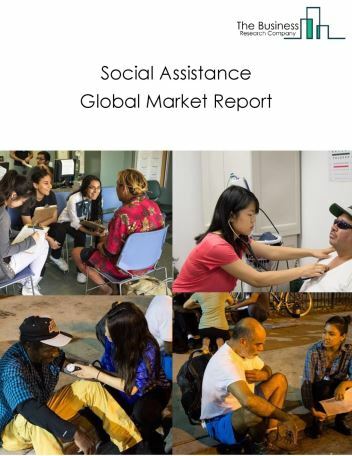 By Geography - The global social services is segmented into North America, South America, Asia-Pacific, Eastern Europe, Western Europe, Middle East and Africa. Among these regions, the Asia-Pacific Social Services market accounts the largest share in the global social services market. Child day care centres utilizing technology, MOOCs emerging as the future learning platform and increase in popularity of community-based care and home service are improving construction safety are the major trends witnessed in the global social services market. Potential Opportunities in the Social Services Market With increasing government funding for developing nations, increasing number of women employees, utilization of technologies in child day care centres and increasing applications of digital learning platforms are expected to boost the market during the forecast period, the scope and potential for the global social services market is expected to significantly rise in the forecast period. 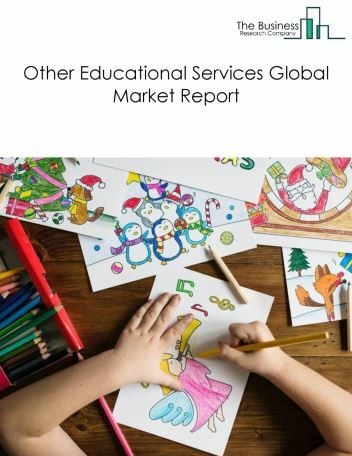 The educational services market consists of the revenues earned from educational services and related goods by entities (organizations, sole traders and partnerships) that provide instruction and training in a wide variety of subjects. The instruction and training is provided by specialized establishments, such as schools, colleges, universities, and training centers. The social assistance market consists of the revenues from social assistance services by entities (organizations, sole traders and partnerships) that provide social assistance services such as child day care services, community food housing and relief services, vocational rehabilitation services and individual and family services. These services do not include residential or accommodation services, except on a short-day basis. 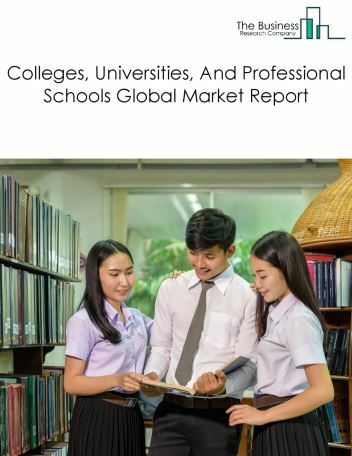 The colleges, universities, and professional schools market consists of the revenues of colleges, universities, and professional schools services and related goods by entities (organizations, sole traders and partnerships) that provide academic courses and grant degrees at baccalaureate or graduate levels. The entities include colleges, theological seminaries offering baccalaureate or graduate degrees, military academies at college level, universities and professional schools (e.g., business administration, dental, law, medical). 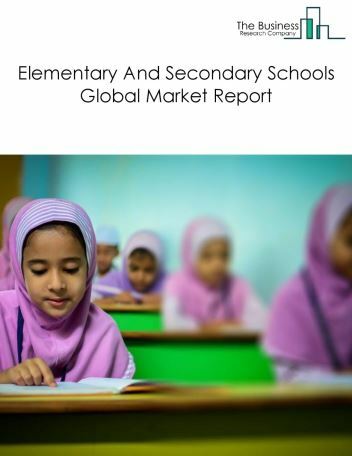 The elementary and secondary schools market consists of the revenues of elementary and secondary school services and related goods by entities (organizations, sole traders and partnerships) that provide academic courses and associated course work to basic preparatory education i.e. kindergarten through 12th grade. The market covers school boards and school districts. 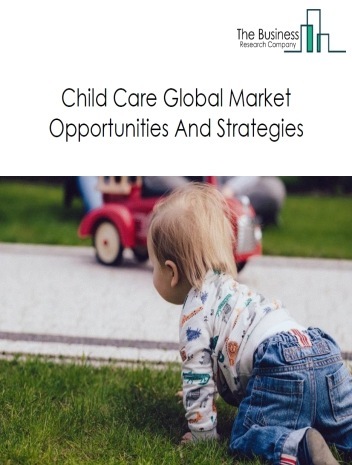 The child day care services market consists of the revenues from child day care services and related goods by entities (organizations, sole traders and partnerships) that provide care for infants or children. These establishments provide care services for preschool children, and for older children when they are not in school. Some of these establishments also offer pre-kindergarten education. This market includes both government and private child care services. The community and individual services market consists of the revenues from community and individual services and related goods by entities (organizations, sole traders and partnerships) that provide non-residential social assistance to children and youth, the elderly, persons with disabilities, and all other individuals and families or collect, prepare, and deliver food for the needy; provide short-term emergency shelter, temporary residential shelter, transitional housing, volunteer construction or repair of low-cost housing, and/or repair of homes for individuals or families in need; or provide food, shelter, clothing, medical relief, resettlement, and counselling to victims of domestic or international disasters or conflicts (e.g., wars). Other educational services include establishments providing academic or domain specific training. This industry includes junior colleges, business and secretarial schools, computer training, professional and management development training, cosmetology and barber schools, flight training, apprenticeship training, other technical and trade schools, fine arts schools, sports and recreation instruction, language schools, exam preparation and tutoring, automobile driving schools, all other miscellaneous schools and instruction, educational support services. 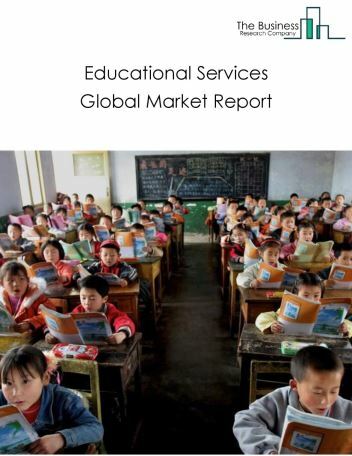 The global other educational services market was valued at $43 billion in 2017. Asia Pacific was the largest geographic region accounting for $17.8 billion or 41.4% of the global market. China was the largest country accounting for $8.9 billion or 20.6% of the global other educational services market. Organizing programs around career clusters is the upcoming trend in the other educational services market as most of the people are skewing towards similar jobs and lack skills required for other jobs. In this program, educators and experts from the industries and employers come together to design courses related to cluster of jobs that fall under the same industry. These courses are designed for secondary and postsecondary educators who provide vocational and adult education. These programs can assist students in building careers in industries of their interest, from entry level through management level. Community food, housing, and relief services industry comprises establishments primarily engaged in collecting, preparing, and delivering food for the needy; providing short-term emergency shelter, temporary residential shelter, transitional housing, volunteer construction or repair of low-cost housing, and/or repair of homes for individuals or families in need; or providing food, shelter, clothing, medical relief, resettlement, and counseling to victims of domestic or international disasters or conflicts (e.g., wars). 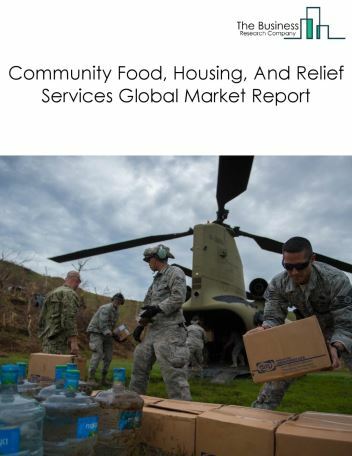 The global community food, housing, and relief services market was valued at $1625.3 billion in 2017. Asia Pacific was the largest geographic region accounting for $697.2 billion or 42.3% of the global market. China was the largest country accounting for $300.6 billion or 18.49% of the global community food, housing, and relief services market. Many social service organizations are running crowd funding campaigns to raise funds to provide basic facilities to low income group population and foster kids. Crowd funding is raising money from a large number of individuals for a social cause through the internet. The funds raised from these campaigns are typically used to arrange for clothes, food, provide education and to enable individuals and couple to adopt children. Adopt Together, one of the world’s largest crowd sourcing platform for adoption raised $10 million to help 2400 families adopt a child.